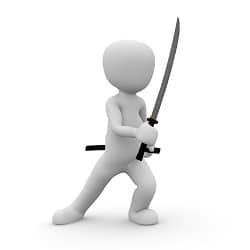 Home / Career / Hey DBAs how’s your Ninja skills! Hey DBAs how’s your Ninja skills! Book review of: ‘Ninja Future: Secrets to Success in the New World of Innovation’ by Gary Shapiro. Gary is the president and CEO of the Consumer Technology Association and a New York Times bestselling author. ‘Ninja Future’ was just released in January 2019. Ok so you have heard these buzzwords a gazillion times (unless you live in a cave! ): self-driving vehicles, blockchain, 5G, the Internet of Things (IoT), Big Data and Artificial Intelligence (AI). Shapiro’s book discusses many examples of how innovators used these technology ideas to build successful businesses. Chapter 12 titled ‘Principles for Future Ninjas’ is a must read and I mean more than once! Here Shapiro discusses these principles: be assertive, bold, compassionate, collaborative, curious, connected, committed and decisive. HINT: Great words that should be on your resume and used during your interview! Shapiro makes huge technological concepts as simple as ABCD… well read the book for the detail on hard it can be. In the conclusion of the book, Shapiro states: ‘If we embrace innovation boldly…we can cure incurable diseases, solve impossible environmental challenges, and create unimaginable opportunity and prosperity’. This book is a must read for everyone in IT from DBAs, DevOPs, managers, and executives. When your done reading you should should be able to prepare for and adapt like a Ninja! Right? Here’s a thumbs up book recommendation: ‘Ninja Future: Secrets to Success in the New World of Innovation’ by Gary Shapiro. Don’t be that DBA guy! DBAs isn’t it time to get rid of all your servers? DBAs do you always get it right?